The senior is a four-time All-State selection, and holds individual and relay state records in the breaststroke and 200 medley. The most memorable moment of the swimming season for Bangor High senior Colby Prouty came out of the pool, as awards were being announced for the Class A 100-yard breaststroke. 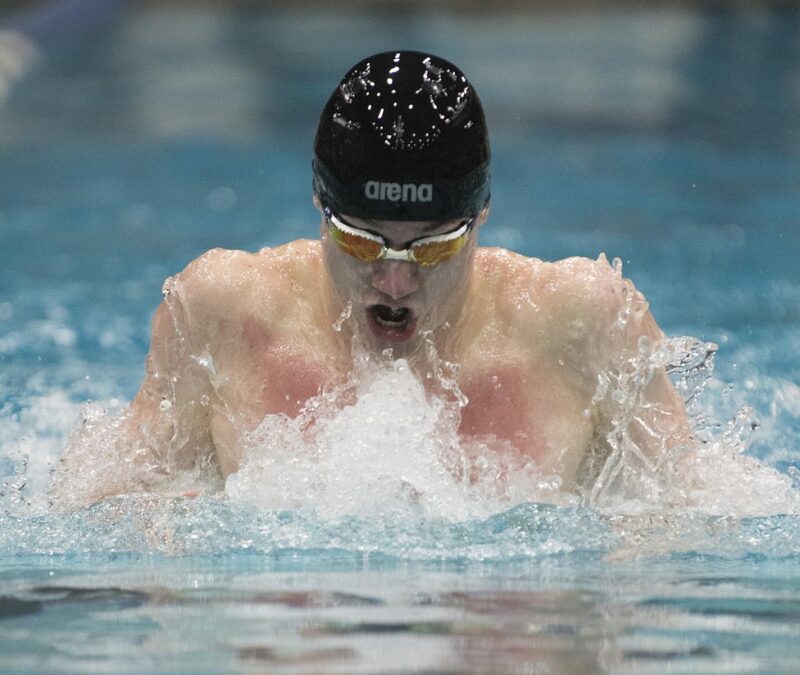 Prouty had a lot of good moments over the last four years, particularly in the breaststroke, where he won four straight state titles and in February lowered his own state record to 56.17 seconds. He also won his third straight title in the 200 individual medley, in a meet-record time of 1:52.75. In addition, Prouty swam the breaststroke leg on Bangor’s 200 medley relay that lowered its own state record to 1:37.33, and anchored the victorious 200 free relay as the Rams finished second to six-time Class A state champion Cheverus. He is our choice as Maine Sunday Telegram male Swimmer of the Year. Liam Sullivan, a junior at Mt. Desert Island who was named Performer of the Meet in Class B, also earned consideration for the award. Prouty turned in the state’s fastest time in two events (breast and 200 IM), and Sullivan was fastest in the 100 freestyle. Sullivan’s times were among the top six in all eight individual events. Prouty’s times were outside the top 10 in three events and outside the top 25 in the 500 free. Prouty began swimming in earnest around age 10 after being cut from a soccer all-star team. His parents suggested he try swimming. An uncle had taught him the frog kick for the breaststroke in Prouty’s backyard pool. At the Bangor YMCA, a coach told Prouty he had a natural breaststroke kick and welcomed him to the club team. Prouty continued to play soccer but no longer as seriously. He also ran track for a few years in middle school but knew he wanted to concentrate on swimming. Prouty will compete for the University of Connecticut, which offered a partial athletic scholarship. He plans to study physiology and neurobiology. “I just knew from a young age that’s what I wanted to do,” Prouty said. 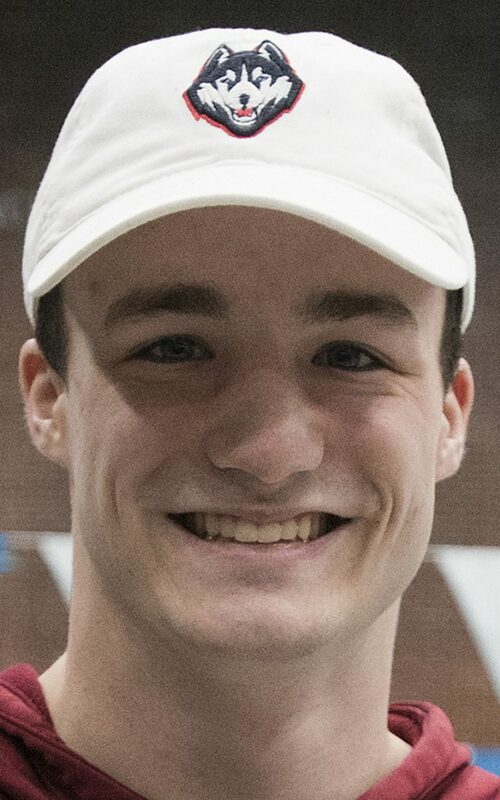 His club season continues in early April when, for a third straight year, Prouty will compete at the YMCA short-course nationals in Greensboro, North Carolina. His best national results are fourth in the 100 breast and eighth in the 200 breast for his age group.